The Kudelski Group and IDEMIA, today announced a global partnership that provides manufacturers and service providers a single, fully-integrated solution to manage the network connectivity and security of cellular IoT devices. 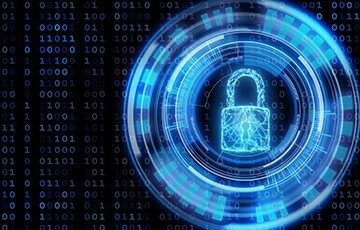 “In this age of digital transformation, protecting connected devices and the valuable data they generate is critical for the long-term success of the exploding IoT market,” said Jean-Michel Puiatti, Kudelski Group Senior Vice President for IoT Security. The new global partnership integrates IDEMIA’s DAKOTA IoT (eUICC) and TSM (Trusted Service Management) solutions with the Kudelski IoT Security Platform. DAKOTA IoT is a secure hardware and operating system that allows device makers to remotely download mobile operator subscriptions to the connected objects deployed in the field and authorize them to use the network. The Kudelski IoT Security Platform provides device security (firmware lifecycle management), data security (transport- and application-level authentication and encryption), access management (token-based feature activation) and active security (monitoring and AI- based anomaly detection) to device manufacturers. The integration of the two solutions in single device makes sustainable IoT security more widely accessible and decreases the time to market for new IoT solutions. The post IDEMIA and Kudelski Group Launch Global Partnership to Simplify IoT Connectivity and Security appeared first on IoT Business News.